Rewarding Times have teamed up with Pat Egan to bring you a single ticket for The Original Elvis TCB Band in National Concert Hall, 29th January, 2018. The tart, twangy tone of James Burton’s Fender Telecaster guitar has been a defining element of rock and roll history. 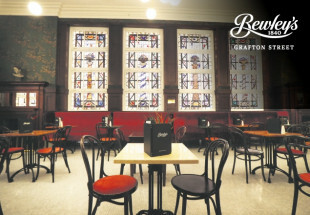 Despite worldwide acclaim, Burton only released one solo album The Guitar Sounds of James Burton and turned his back on solo fame to remain a consummate rock and roll sideman, the best in the business, according to many, demonstrating versatility, taste and technique. Burton played with Ricky Nelson, Johnny Cash, Glen Campbell, Gram Parsons, Roy Orbison, Jerry Garcia, Emmylou Harris, Jerry Lee Lewis, Judy Collins, Neil Diamond, Merle Haggard and John Denver – but it was as Elvis Presley’s band leader as guitarist from 1969 to his death in 1977 that Burton cemented his reputation as America’s greatest living guitar legend. 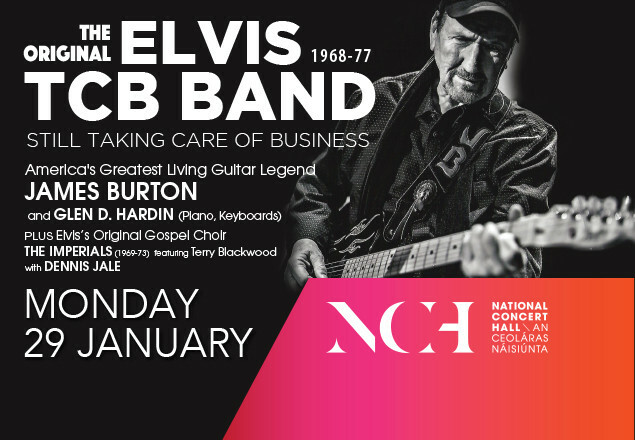 Burton, along with his fellow Presley band members including Glen D. Hardin on piano play the National Concert Hall on Monday 29th January, 2018. The show stars Dennis Jale on vocals and also stars Elvis’s original Gospel Choir The Imperials.